You never know what Dylan will and will not eat on any given day. 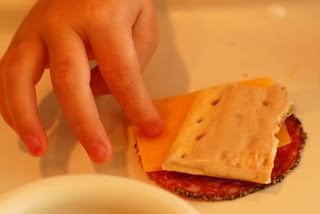 The other morning, his breakfast was this little creation: pop-tart, salami and cheese. Reminds me of Joey's response to Rachel's flubbed English Trifle on that episode of Friends. As Dylan might say, "What's not to like? 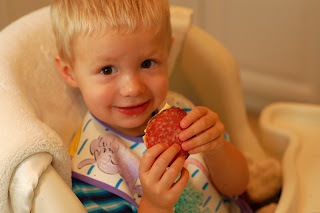 Salami, good. Cheese, good. Poptart, GOOOOD!"